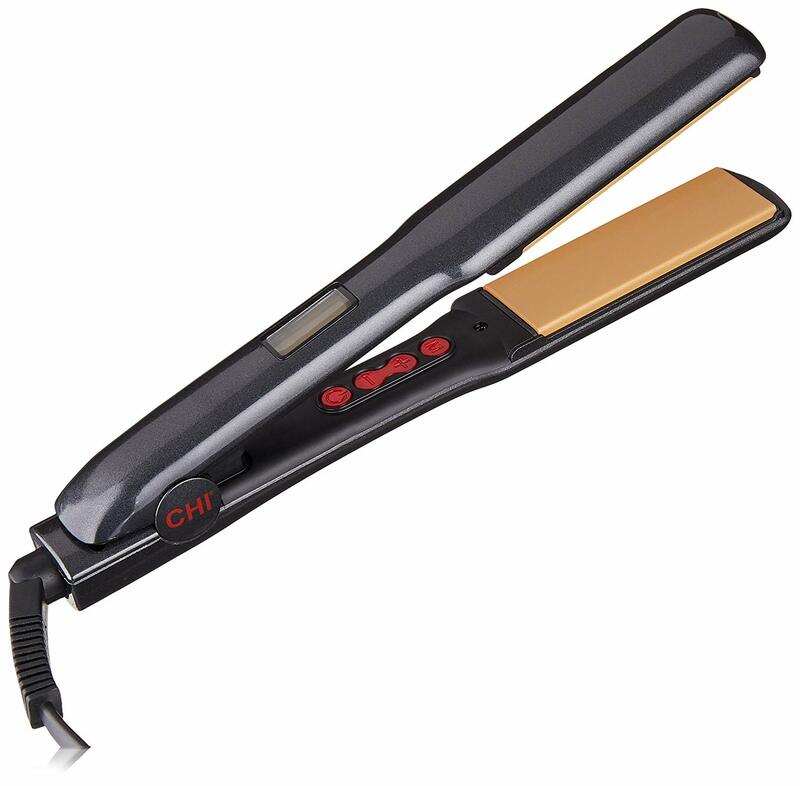 Hair straighteners are by far the most popular modern styling tool. Whether you use it to straighten, curl, or just smooth down your hair, most women have a flat iron tucked away in one of their bathroom drawers. Unfortunately, straighteners are a major source of hair damage. Many flat irons do not distribute heat evenly or are so inefficient that they must be overused at very high temperatures to effectively straighten your hair. Using low-quality hair straighteners leads to frying, split ends, breakage, and other major hair damage. Trying to find a new flat iron can be risky and stressful since the wrong flat iron can cause such detrimental damage to your hair. Plus, it can be difficult to determine whether a certain flat iron is safe for your hair until it’s too late. These six flat irons are some of the best on the market in terms of efficiency and hair protection. 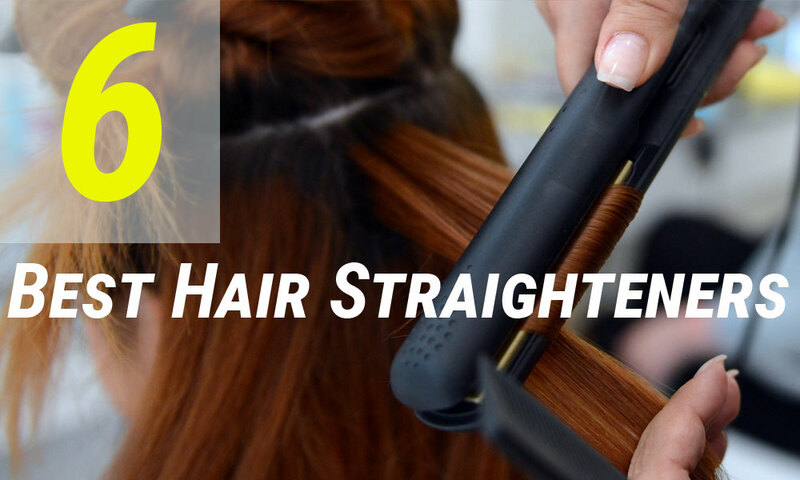 Use these hair straighteners as a guide to help you find a flat iron that will leave your hair healthy, smooth, shiny, and straight every time you use it. 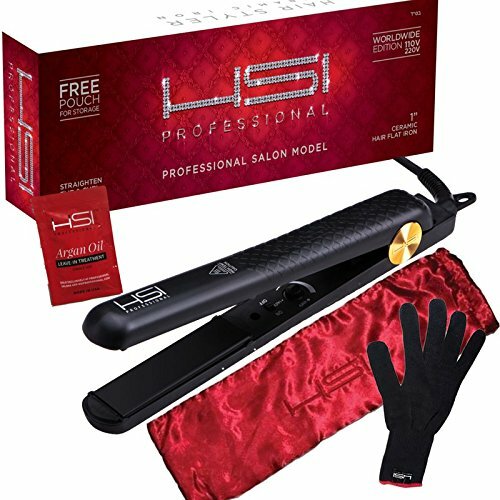 This HSI straightener features high-quality ceramic and tourmaline crystal ion plates that straighten, curl, and style smoothly and quickly. It has a wide temperature range from 140 to 450 degrees Fahrenheit. Adjust the temperature to higher heats to eliminate frizz, style thick, course, and curly hair types, or straighten or curl hair of any type in record time. Use a lower temperature if you have thin, fine hair or to protect your hair from damage. The floating 1-inch heat plates of this flat iron feature curved edges that move as you style your hair to prevent fallout and breakage and ensure a smooth, even finish. Eight special micro-sensors built into these plates regulate and evenly distribute heat to help you avoid frying, breakage, and other damage. 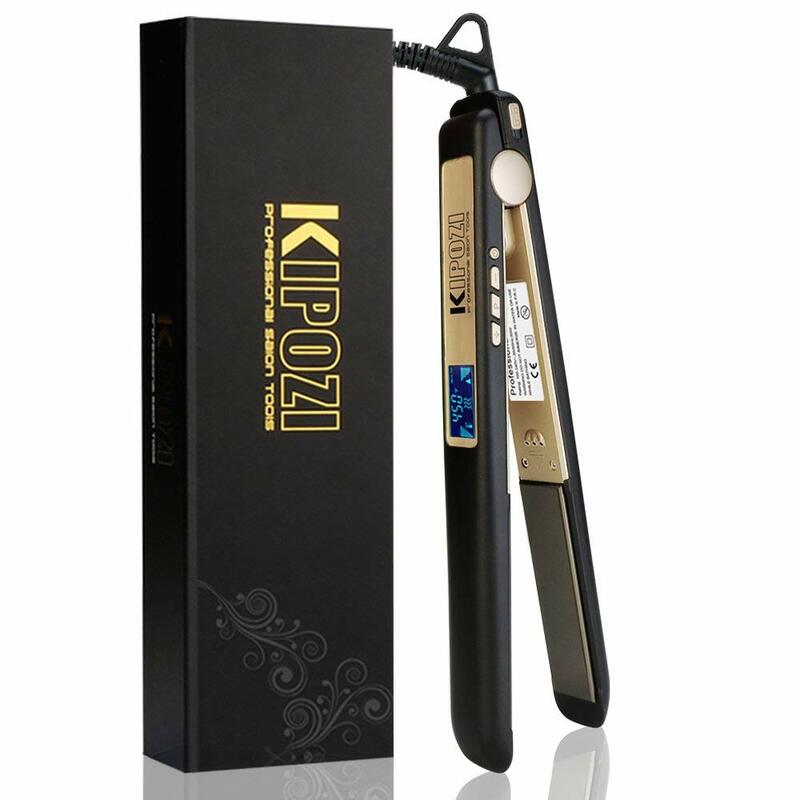 The 3D floating nano-titanium plates of this KIPOZI flat iron eliminate frizz and style smoothly without snagging. They are fast to heat and reach their goal temperature in thirty seconds or less. A digital display screen offers you ten different temperature settings between 170 and 450 degrees Fahrenheit. Three pre-programmed settings heat the plates to different temperatures for “fragile”, “damaged”, or “healthy” hair to prevent damage and breakage. This 1-inch iron is a versatile, multi-function styling tool that works as both a flat iron and a curling iron. Its far-infrared technology expertly smoothes your cuticle to give your hair an intense, shiny finish. Both plates release negative ions that add more polish and shine. This Remington flat iron’s ceramic and titanium plates distribute heat evenly to your hair and glide smoothly over your hair without snagging or hovering too long on one section of hair. Titanium protection coating helps you create flawless straight, wavy, or curly hair quickly without damaging your strands. Digital controls and a clear, large LCD screen make temperature adjustment fast and easy. Choose between six temperature settings between 310 and 410 degrees Fahrenheit depending on your hair type. Advanced anti-static technology minimizes frizz and static and keeps flyaways at bay to ensure a smooth, shiny finish with no styling products. A turbo boost feature gives your hair an extra blast of heat to make styling even faster when you’re in a rush. This versatile hair straightener efficiently and safely straighten hair of all types, including straight, wavy, curly, thin, thick, course, and natural hair. Its 1.75-inch titanium-infused plates leave hair of all types soft and silky smooth with a shiny finish. 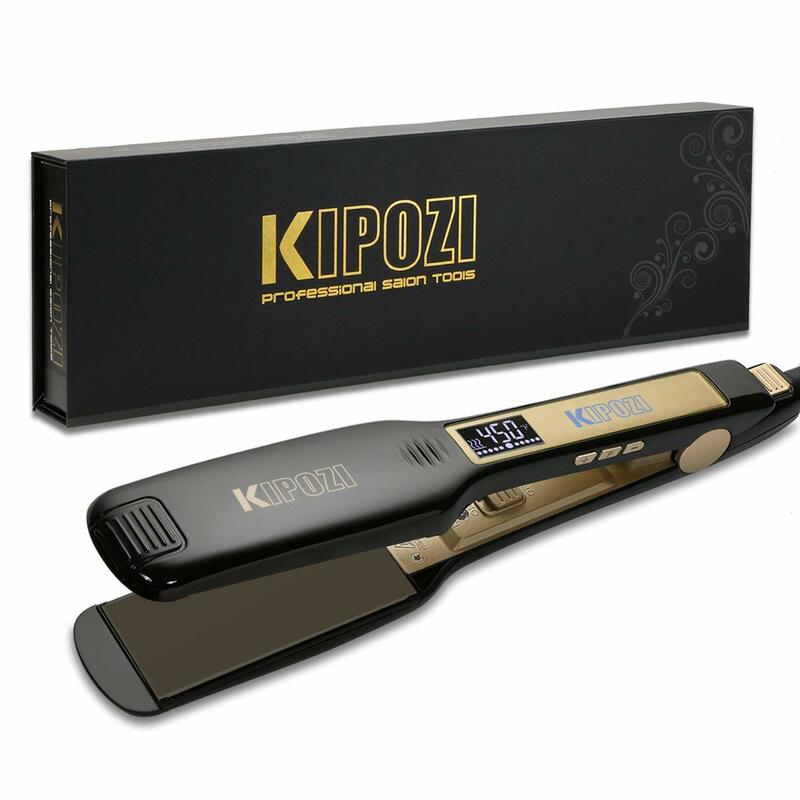 A clear, easy-to-read LCD display screen shows you the exact degree the flat iron is heated to at all times and makes temperature control super simple. Temperature settings range from 170 to 450 degrees Fahrenheit to straighten all hair types. Start straightening fast just by pressing the “P” button that quickly heats this iron up to a default temperature. 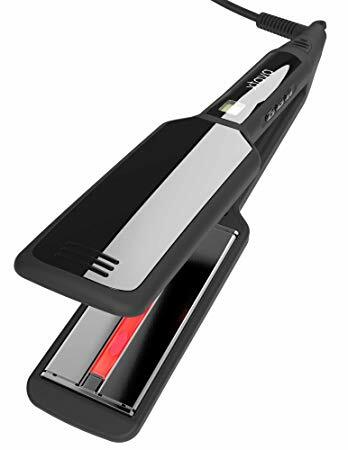 Designed for thick, curly, and natural hair or any other hair type that is considered especially hard to straighten, this xtava flat iron is powerful, efficient, and non-damaging. 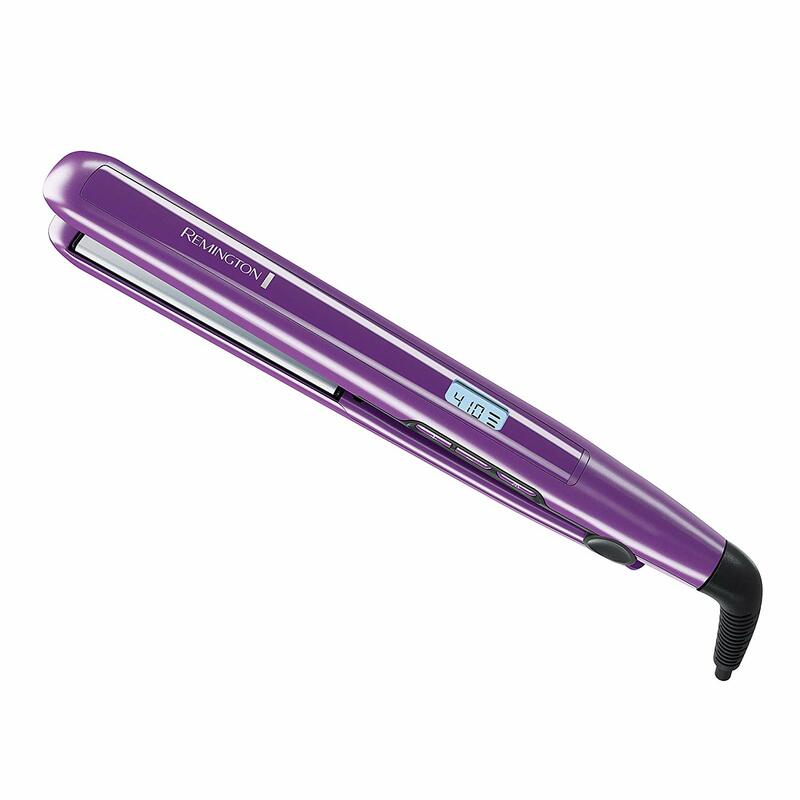 Its floating 2-inch plates smoothly straighten all hair types. They also heat up in ninety seconds for ultra-quick styling on hectic days. An easy-to-read LCD screen features digital controls that let you choose between ten different temperature settings ranging from 265 to 445 degrees Fahrenheit. Infrared technology heats your hair from the inside out to minimize damage. Negative ions draw out your hair’s natural oils to minimize damage and leave your locks soft, silky, and shiny in any weather. Many women end up using their flat iron at a temperature setting that is either too low or too high for their hair type, which can lead to inefficient styling or major long-term damage. The color-coded digital temperature settings on this flat iron help you make sure you’re styling at the temperature that’s best for your hair. A blue light indicates a safe temperature fortune or damaged hair; green for normal hair; and red for thick and course hair. Temperature settings range from 0 to 425 degrees Fahrenheit. Choosing a high-quality flat iron that styles efficiently and protects your hair is an important part of keeping your hair healthy, especially if your flat iron is an essential part of your daily routine. Check out the six flat irons in this post to learn more about the important features that every modern, efficient, protective flat iron should have.